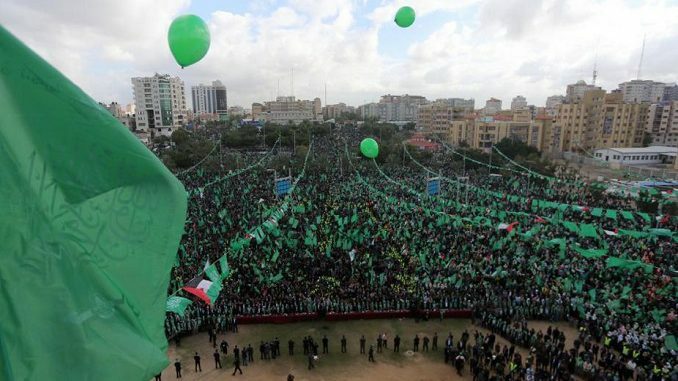 The Islamic Resistance Movement, Hamas, yesterday marked the 30th anniversary of its founding with a mass rally in the Gaza Strip. The head of Hamas’ political bureau, Ismail Haniyeh, said during the celebration that the aggression against Jerusalem after US President Donald Trump’s decision to recognize a united Jerusalem as Israel’s capital is an affirmation that the Palestinian people are one who can defend the Palestinian cause. “Since the decision, the issue of Palestine and Jerusalem has returned to the forefront of our people, our nation and the free world after nations were preoccupied with their conflicts and problems,” he said. 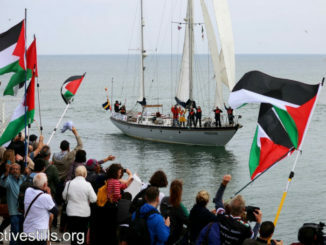 “The US administration, for the first time in the history of the conflict, is isolated. Trump and Netanyahu are standing on one side while the whole world stands on the other, which is a confirmation that the Israeli occupation no longer occupies its former position even among European countries,” Haniyeh said. “If our ancestors for many reasons could not stop the Balfour Declaration, we will not allow Trump’s promise to pass even if we sacrifice our lives,” he said. Haniyeh reiterated that Hamas will never abandon its national constants including retaking the city of Jerusalem, the right of return of all Palestinian refugees, an independent Palestinian state and releasing all prisoners. “Hamas is committed to the Palestinian national unity on the basis of mutual respect and partnership to manage the country’s affairs which requires the speedy implementation of all agreements and allowing the people of Gaza to live dignified lives,” he said. 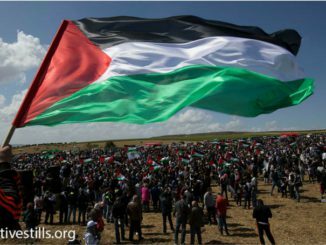 “We must agree on a strategy for armed and popular resistance and rearrange the Palestine Liberation Organization to include all the forces of our people,” he added.